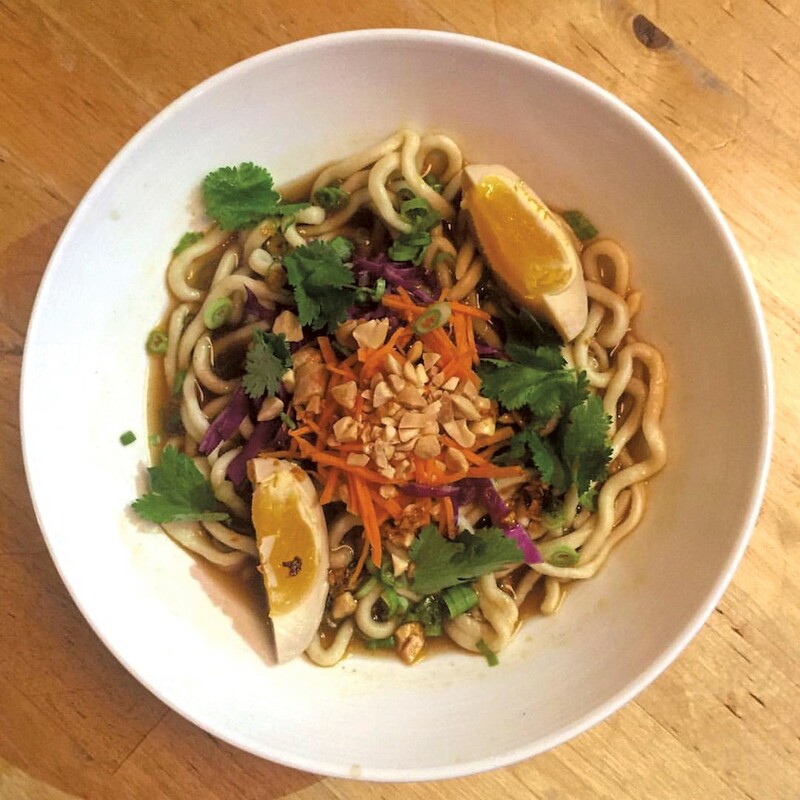 Handmade noodles with pickled duck egg and peanuts at Misery Loves Co.
Chinese New Year: Chef Scott Collins leads diners on a culinary tour of provincial China, with street foods from Xi’an, cumin lamb, mapo pork belly and other dishes. Also, martial arts workshops, performances and dance. [event-4] Spice on Snow Festival: Cajun beats meet Bayou eats in this four-day festival of music, dance and culture.